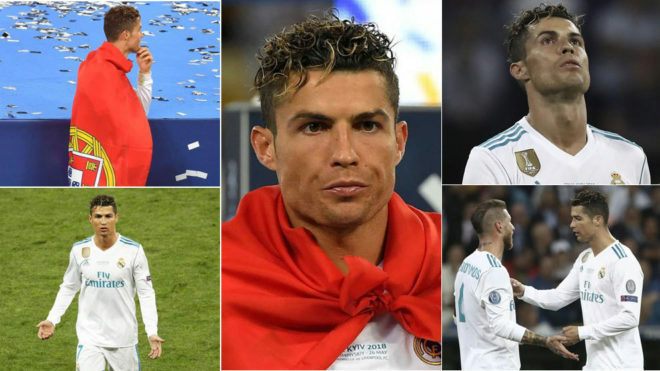 The final whistle had barely finished resounding around Kiev’s Olympic Stadium on Saturday night when Cristiano Ronaldo shocked Real Madrid by questioning his own future at the club. Well, did you say, “It was very nice to be at Real Madrid”? So, what is the problem, Ronaldo? Money? So, who’s the problem? Florentino? So, who and what is the problem? You’re not getting due recognition? Wow! Such glory!! Is that what you seek, more and more, Ronaldo? What else is it about, Ronaldo? Please, tell us. What? You’re not gonna tell us? Hiding it from us? So, when are you gonna tell us, Ronaldo? Really. Can you guarantee it? The world awaits your talk, Ronaldo.